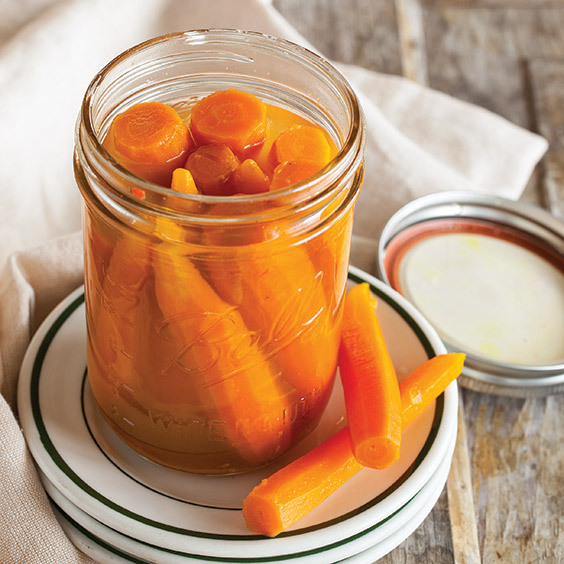 Pickled baby carrots make great snacks, appetizers, and salad toppings you can enjoy year-round. 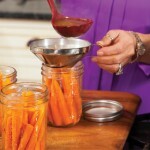 Trim carrots to fit in pint jars, allowing for 3/4 inch headspace. Prepare 6 wide-mouth pint jars, lids, and bands according to manufacturer’s instructions. Prepare boiling water-bath canner. 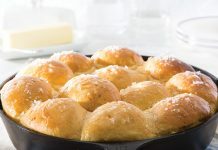 In a large nonreactive Dutch oven, bring vinegar and next 5 ingredients to a boil over high heat, stirring occasionally. Add carrots, and bring mixture to a low boil; cook for 10 minutes, stirring occasionally. Remove from heat. Add 1/8 teaspoon crushed red pepper to each jar, if desired. Pack carrots into hot sterilized jars. Ladle hot vinegar mixture into jars to cover carrots, leaving ½ inch headspace. Remove any air bubbles, and adjust headspace as necessary. Wipe jar rims with a clean, damp cloth. Immediately cover with lids, and screw on bands to fingertip-tightness. Process in boiling water-bath canner according to manufacturer’s instructions for 10 minutes. Remove canner lid; let jars stand in canner for 5 minutes. Place jars on a clean towel on counter to cool, undisturbed, for 24 hours. Check seals. Let stand in a cool, dark place for 2 to 3 weeks before opening. 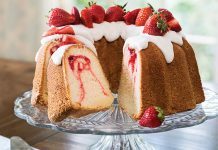 Refrigerate any unsealed jars for up to 1 week. Pickling salt can be found with canning supplies or in the spice aisle. Peel the carrots, and trim the stem ends so they’ll fit upright in jars. 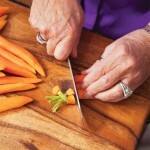 Alternate wider and thinner ends of carrots to pack snugly in jar. 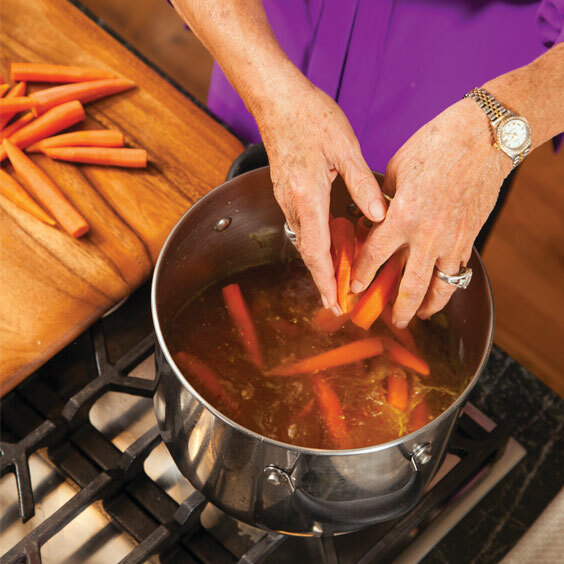 Cooking the vegetables in the brine jump-starts the fermentation process and ultimately keeps them from spoiling. 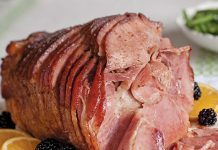 A brine is a solution used to preserve vegetables in pickling. If vegetables are cooked in the brine, use a slotted spoon to remove them for packing into jars. 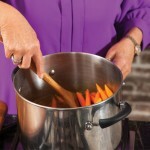 Place a canning funnel in the jar, and ladle the hot brine over the vegetables. If necessary, adjust the liquid to ensure a ½-inch headspace.